Our economic system of Capitalism is both praiseworthy and blameworthy at the same time. We need to acknowledge that worldwide Capitalism has lifted many out of extreme poverty. But almost half the world — over three billion people — still live on less than $2.50 a day. While we have seen substantial worldwide growth in basic education and literacy and health systems, there is much to be done. Capitalism is also blameworthy. There is no justification for 62 persons in the world owning as much wealth as half of the rest of the world. Our companies have historically practiced “pirate” or Predatory Capitalism which aims at making the rich richer. This can’t happen unless more of our companies go through a transformation. CEOs must become servant-leaders, not emperors. Workers need to be represented on the company’s Board of Directors, as in Germany. Companies must formulate a set of principles and values to guide their behavior. Much of the answer now lies in whether more of our companies can adopt a new set of values that go beyond just making profits for their stockholders and managers. 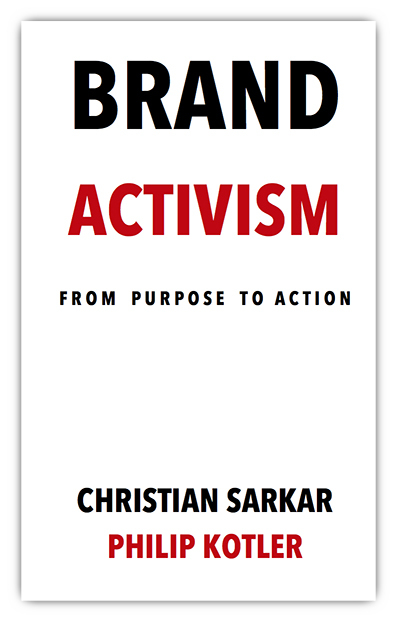 Will companies embrace brand activism? Elsie Maio, a leading Business Values guru, helps companies undertaking a process of soul branding or spiritual awakening. We see this happening in a handful of companies around the world.